Welcome, and thank you for your interest in Shekou International School (SIS)! As the first international school established in Shenzhen, SIS has a long tradition of providing rigorous learning in a caring community. Since beginning with 12 students in 1988, SIS has grown to a student body of over 850 students representing 40 different nations including the US, Canada, South Korea, Hong Kong, France, Germany and Italy. We have nearly 145 world-class faculty and staff members hailing from 15 different countries. More than two-thirds of the faculty have a master's degree or higher. The student–staff ratio is well under 10:1. Teaching faculty are highly qualified in their area of assignment, including all specialists. SIS hires only the finest experienced teachers available. Recruiting from around the world, our staff is recognized for hard work, intelligence, good will, and abidingly, a love for children. We look forward to educating your child. 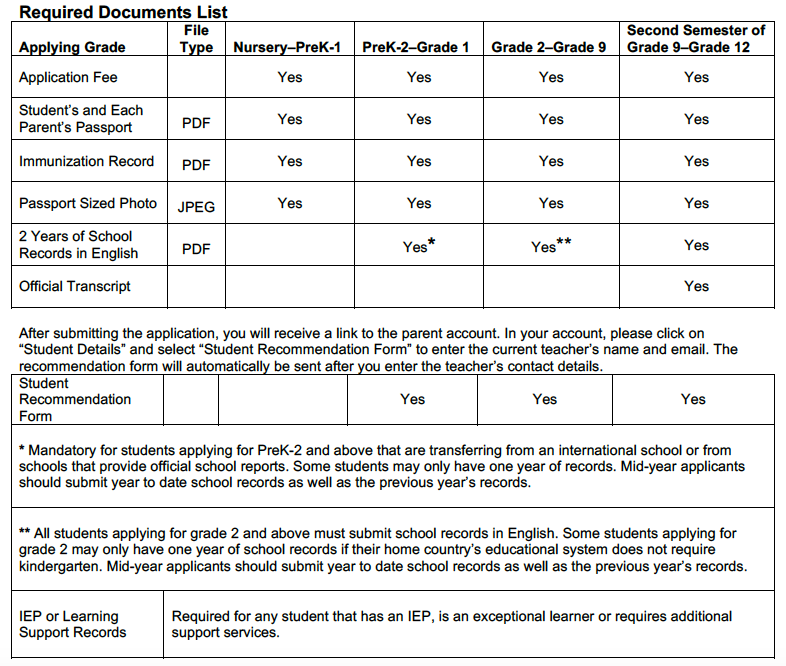 To begin the application process, check the required document table below. Once you have gathered the documents, just click on the Application button.